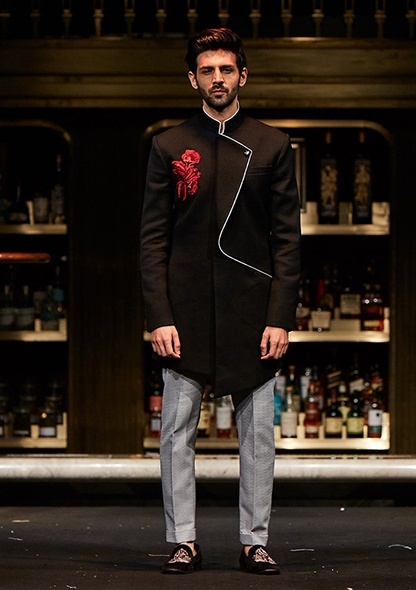 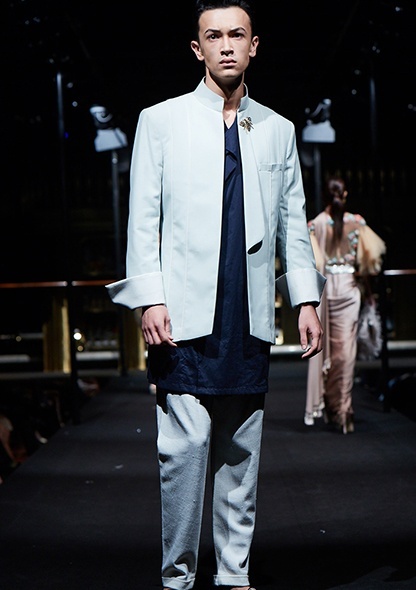 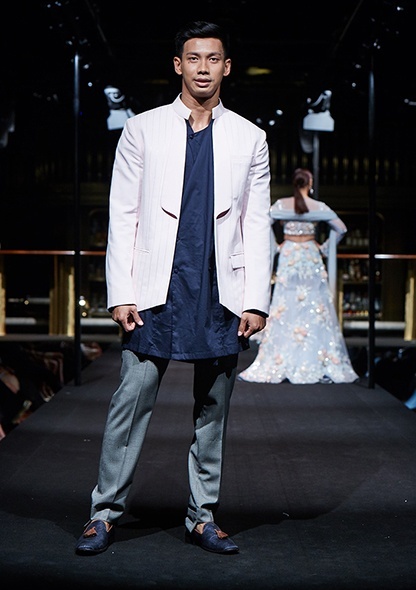 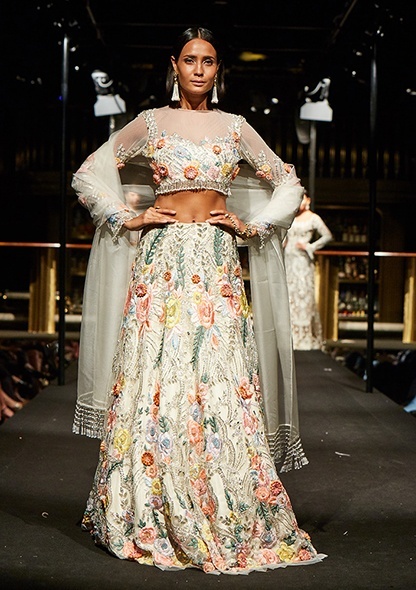 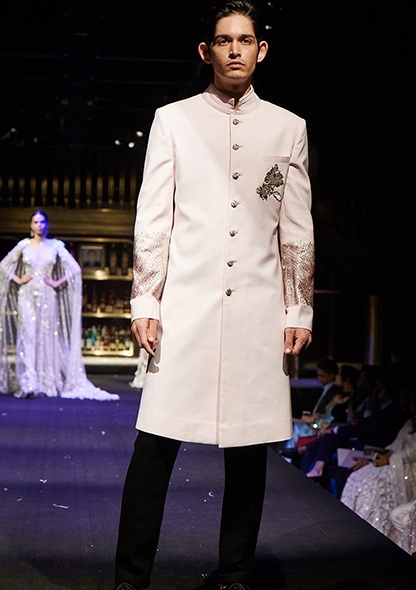 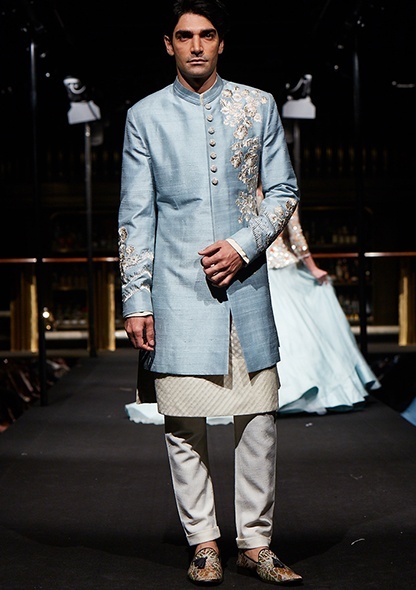 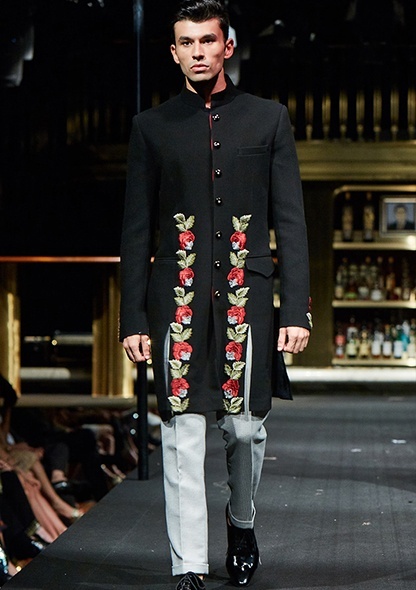 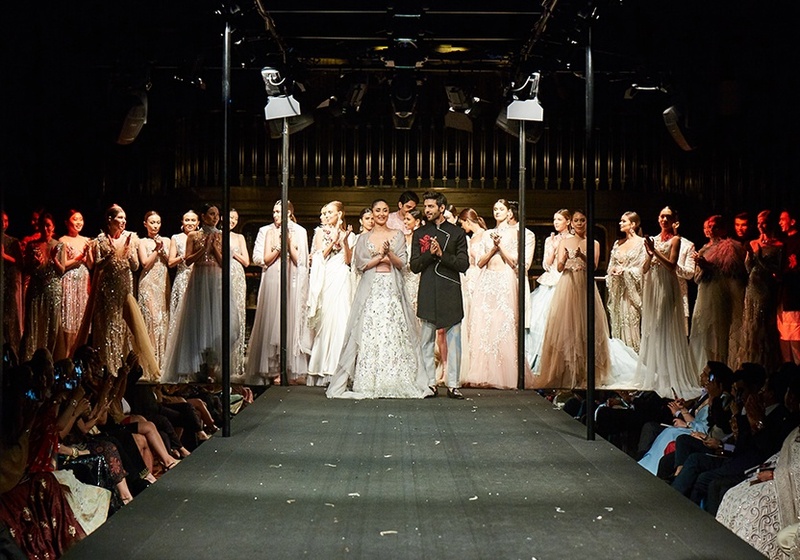 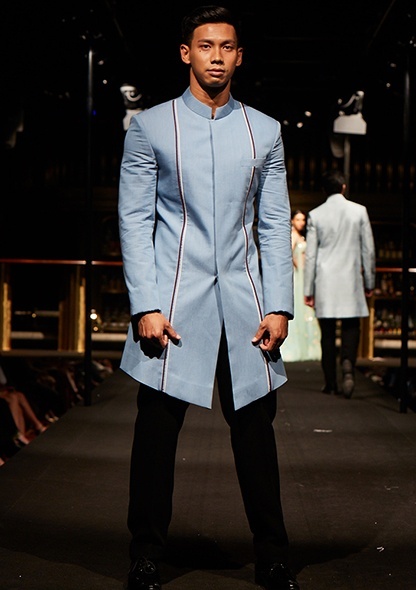 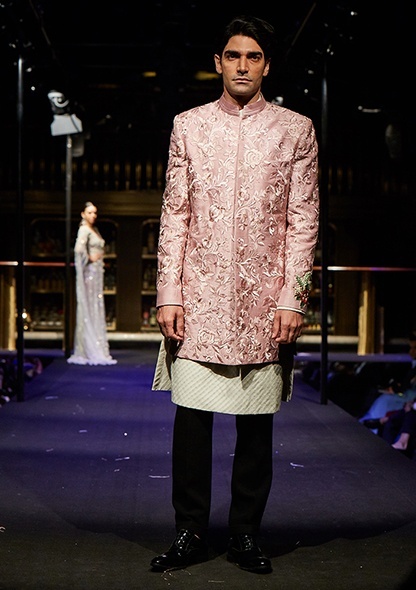 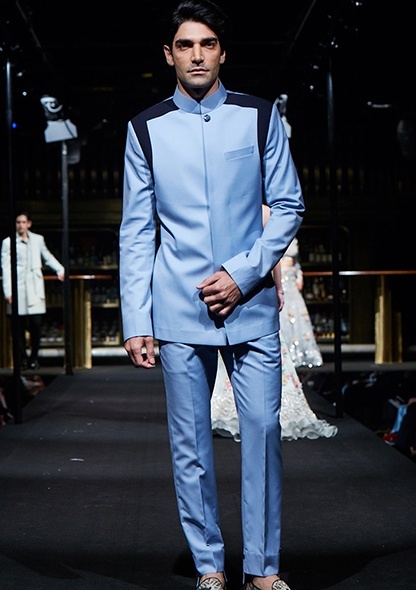 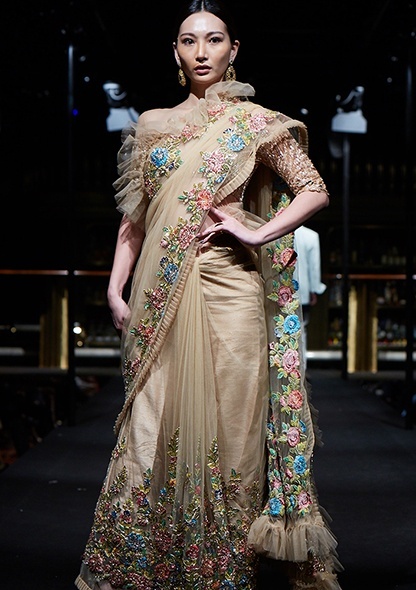 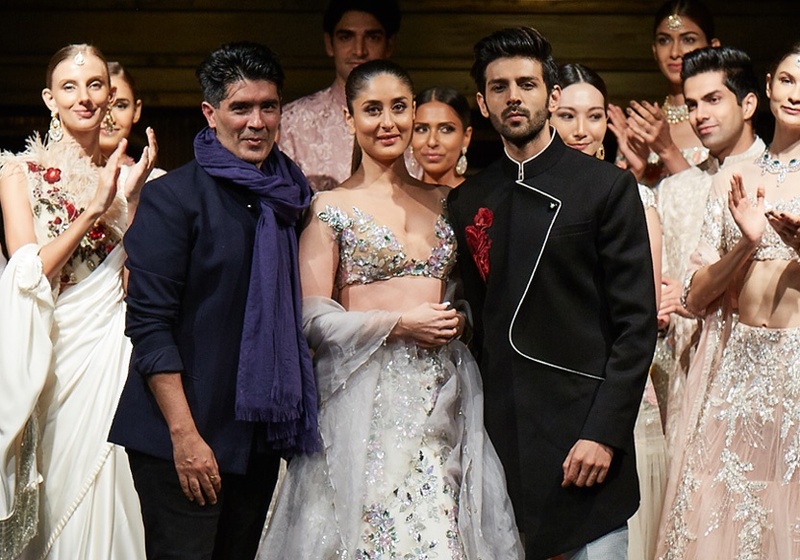 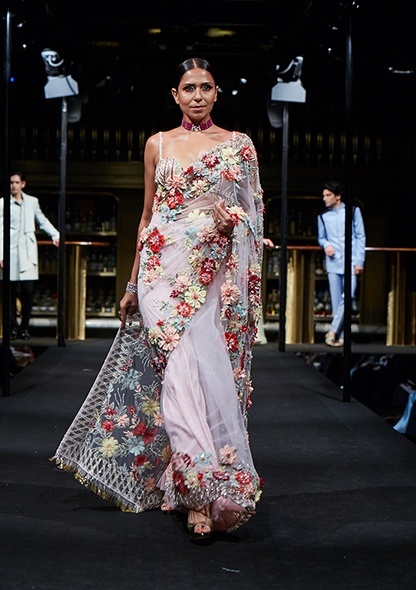 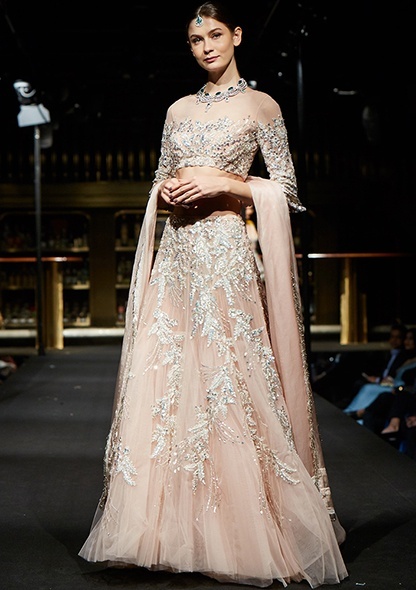 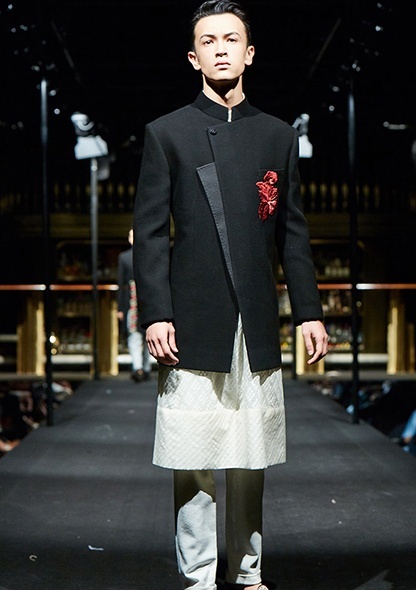 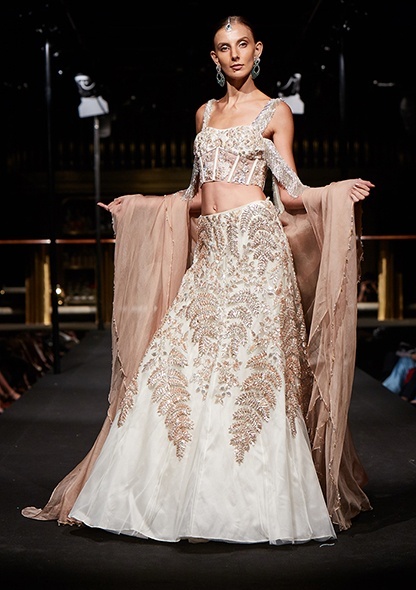 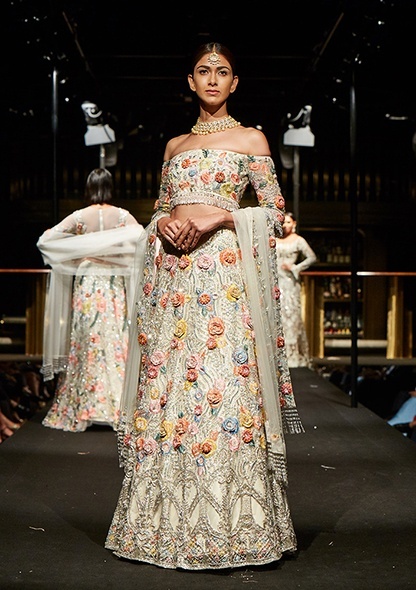 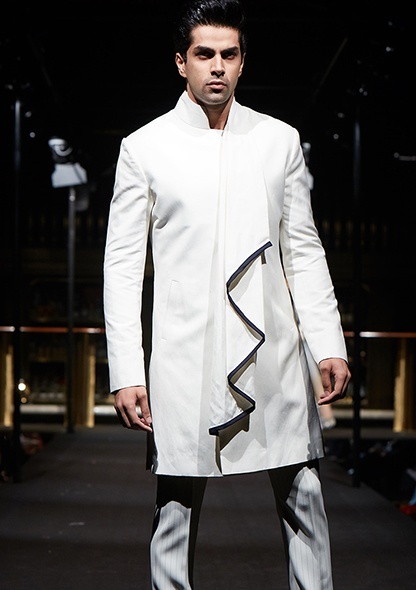 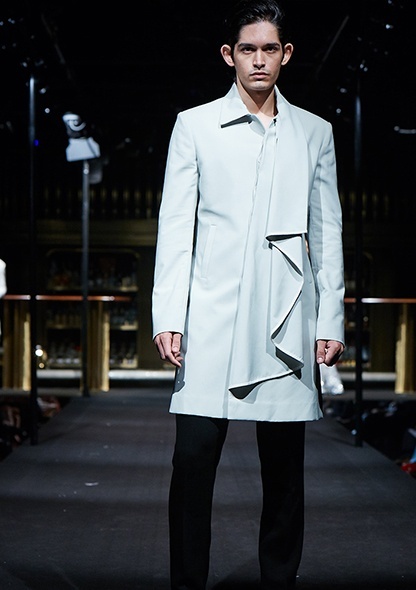 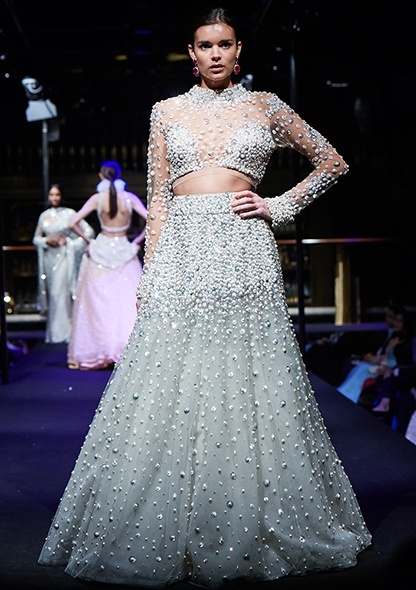 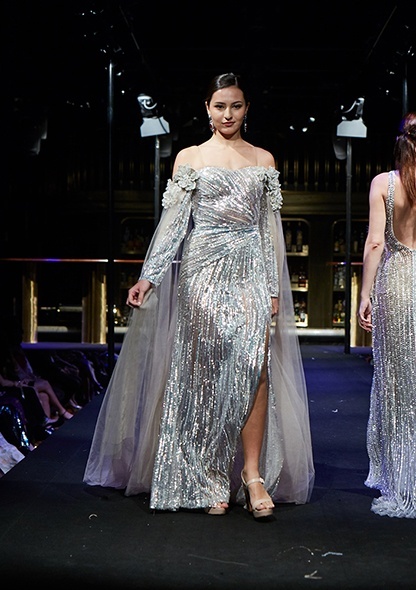 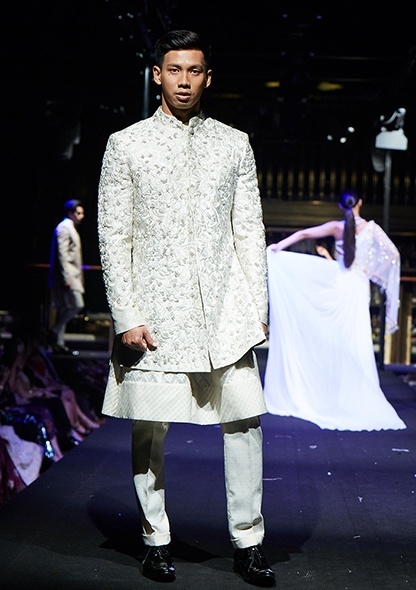 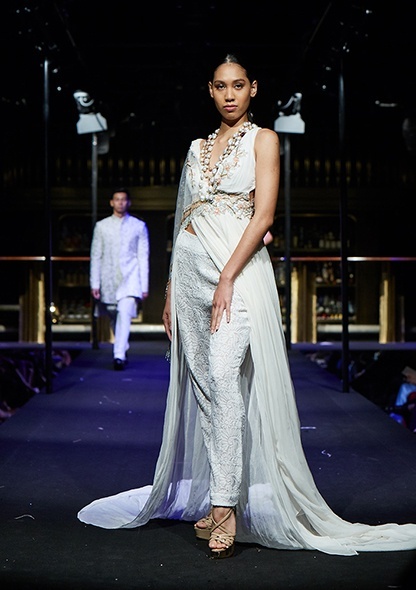 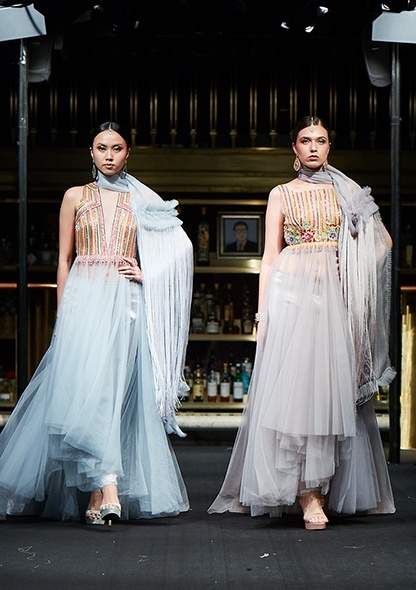 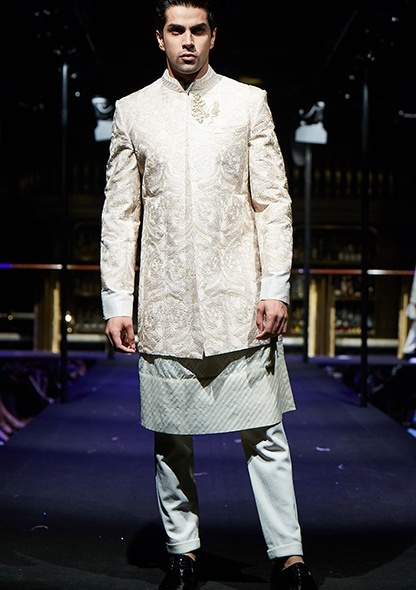 The Manish Malhotra Label showcased yet another exquisite collection in Singapore against the art deco of the stunning Atlas bar in Parkview. 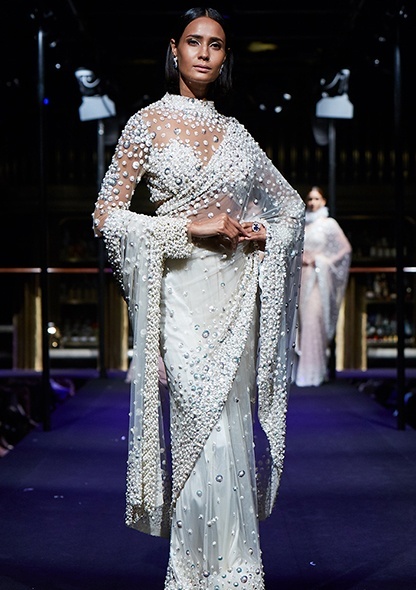 Known to add opulence with his signature styles, the summer couture collection of 2018 featured bedazzled beaded dresses, gowns and saris with pearl and feather detailing. 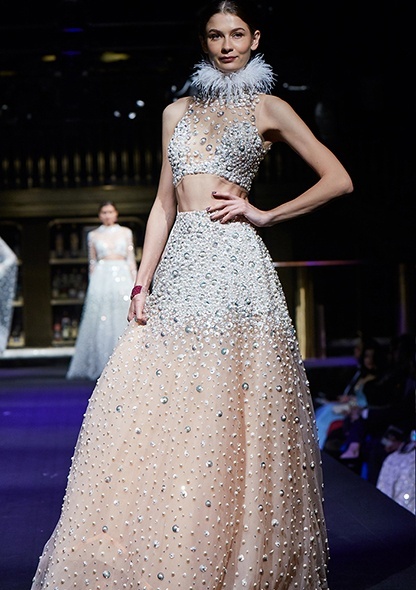 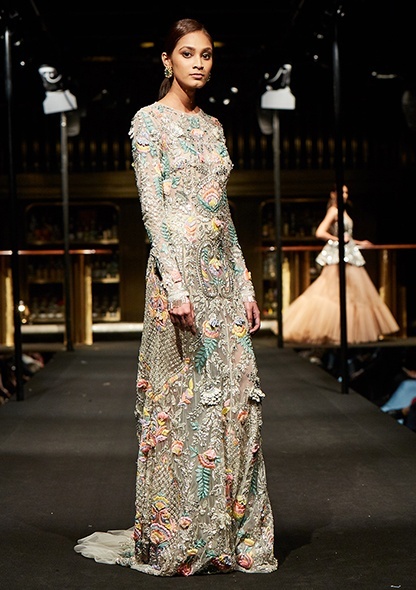 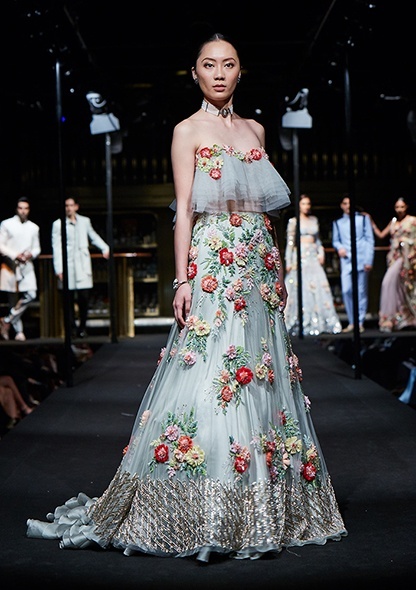 Known to add opulence with his signature styles, the summer couture collection of 2018 featured bedazzled beaded dresses, gowns and saris with pearl and feather detailing.Floral appliques on lehengas, and pom-pom dresses added a lively touch to the clothes, while the collection also included a bit of flare and drama with voluminous gowns and sleek jumpsuit-style saris. 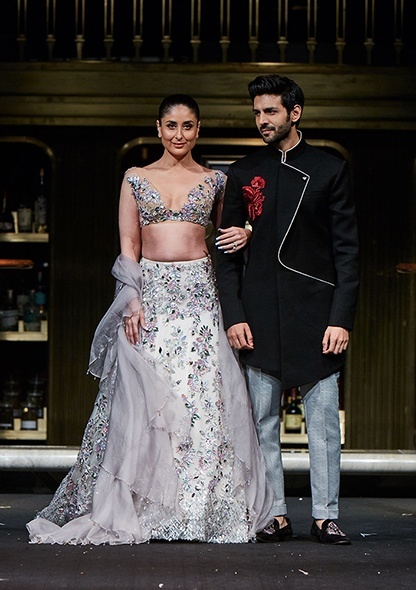 The jewellery The Showstoppers Kareena Kapoor, who wore an ivory sequined lehenga, and Karthik Aryan, who wore a bespoke black bandhgala with elegant red floral threadwork, looked a vision as they walked the runway.